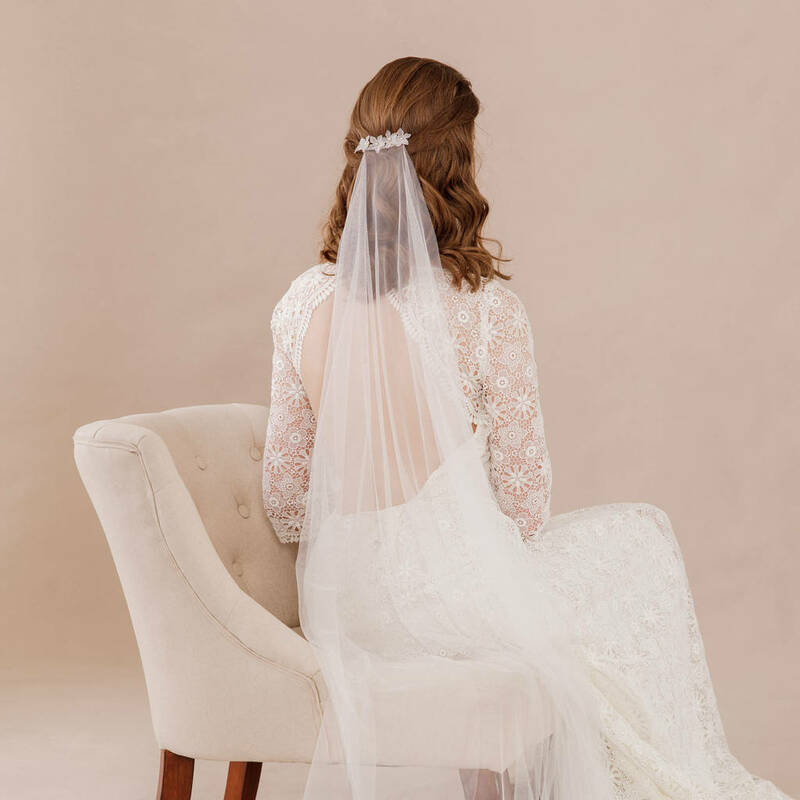 Perfect for brides who just want a hint of a veil. 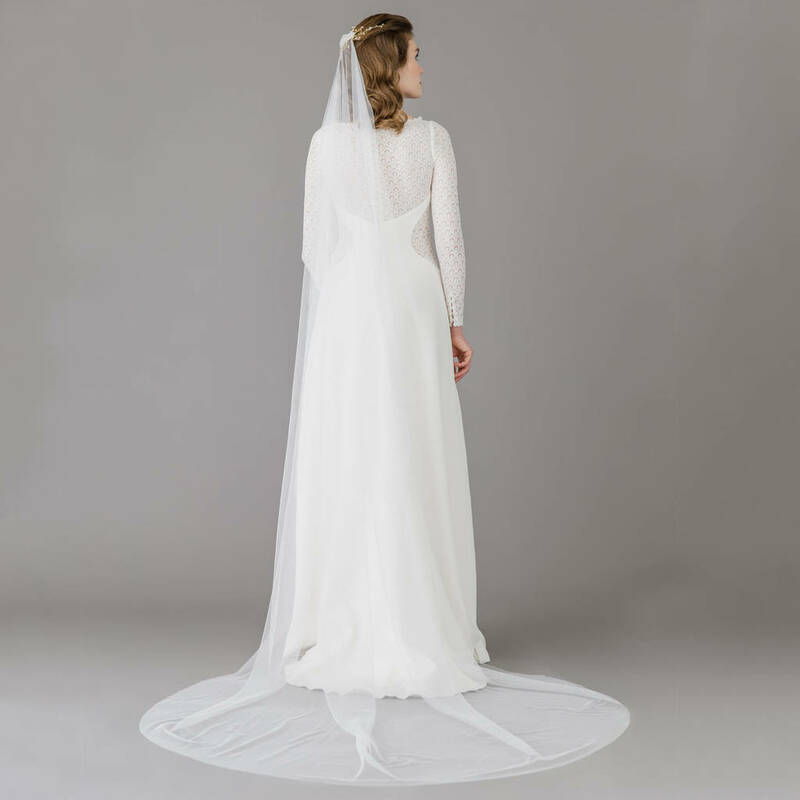 Ilona is also perfect if you have a fine accessory like our Avani mini and want to pin it over your veil at the back of your head. 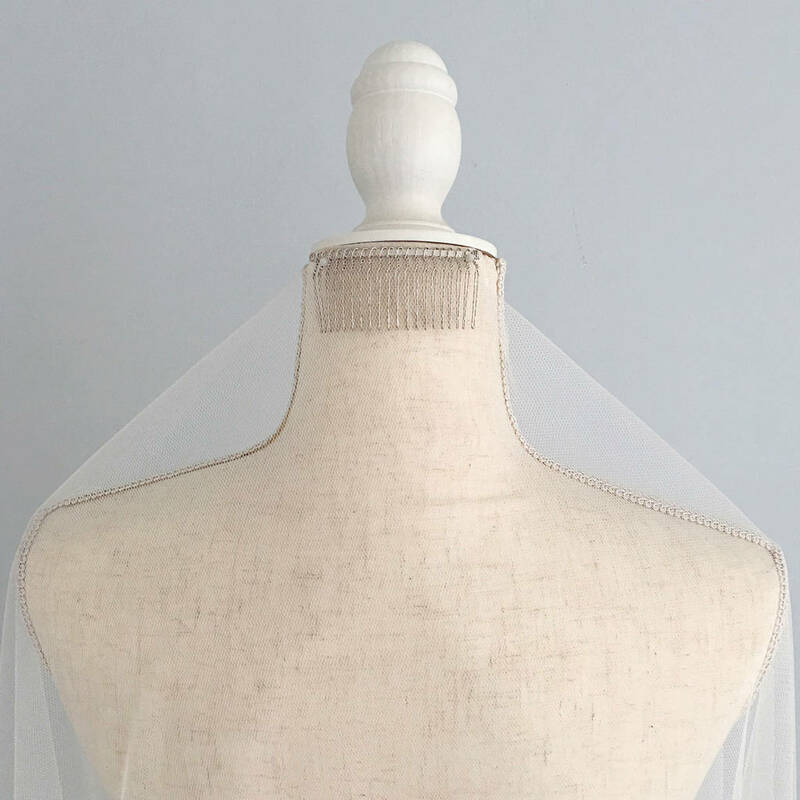 This veil has no gather and is attached to a silver or gold plated comb. The model image shows our Myra multipiece and Elsa centrepiece pinned over the veil. 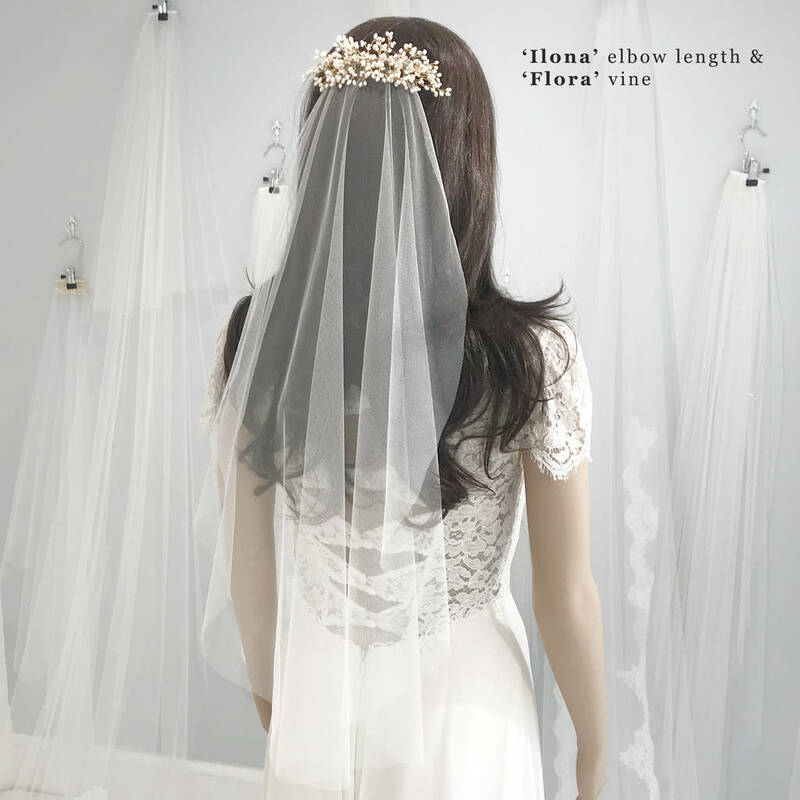 Our elbow length veils are 72cm, fingertip length veils 122cm, ballet length 150cm, floor length 200cm long, church length 250cm and cathedral length 300cm. Traditionally handcrafted in our boutique/workshop near Bath, England. The English made tulle, attached to a silver or gold plated comb, is the finest quality. We use luxurious boxes to keep your Britten veil safe for generations. Inside this box you'll find your veil nestled in soft tissue paper. 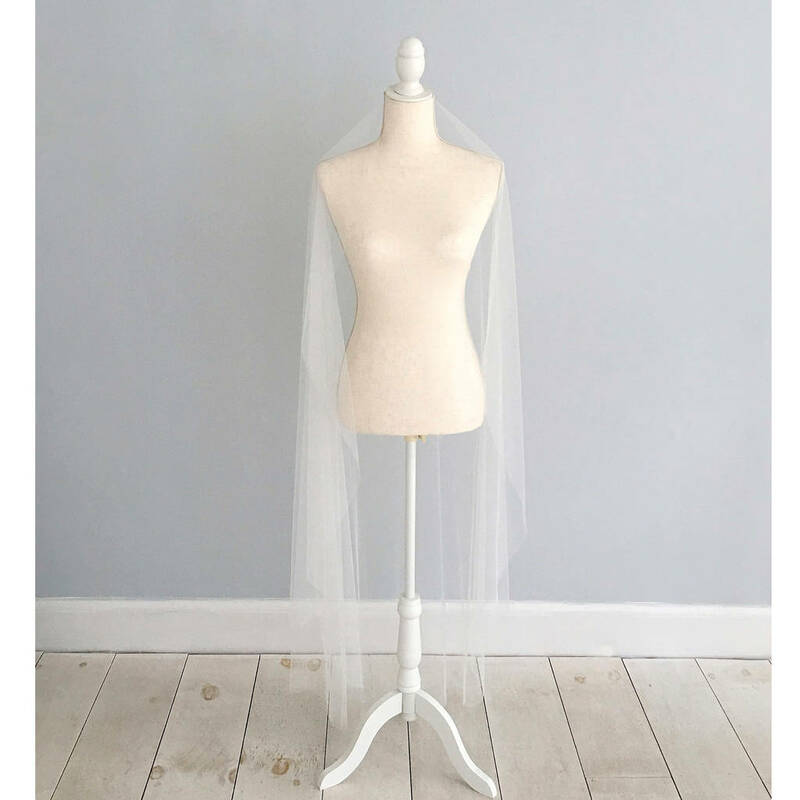 If you need a way to store your veil please see our veil bags and hanging clips. Winners of 'Editors Choice' Award in 2017 UK Wedding Awards. Perfect Wedding magazine nominated Britten for awards in 2015 & 2016 and put Britten accessories on the cover of the magazine twice. You and Your Wedding Magazine nominated Britten in their 2014 awards and our sister company The Wedding Garter Co, also on Etsy, in 2015. 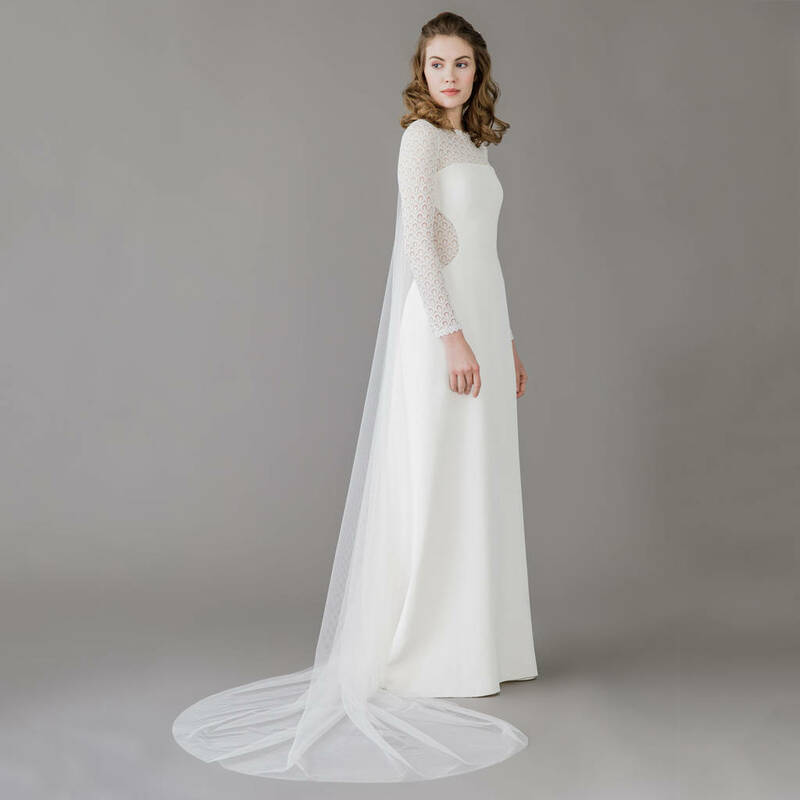 In print Britten features regularly in publications like Condé Nast’s BRIDES and online on blogs like Love My Dress, Rock My Wedding and Style Me Pretty. Sarah Jane designs every Britten piece. They are available only online. 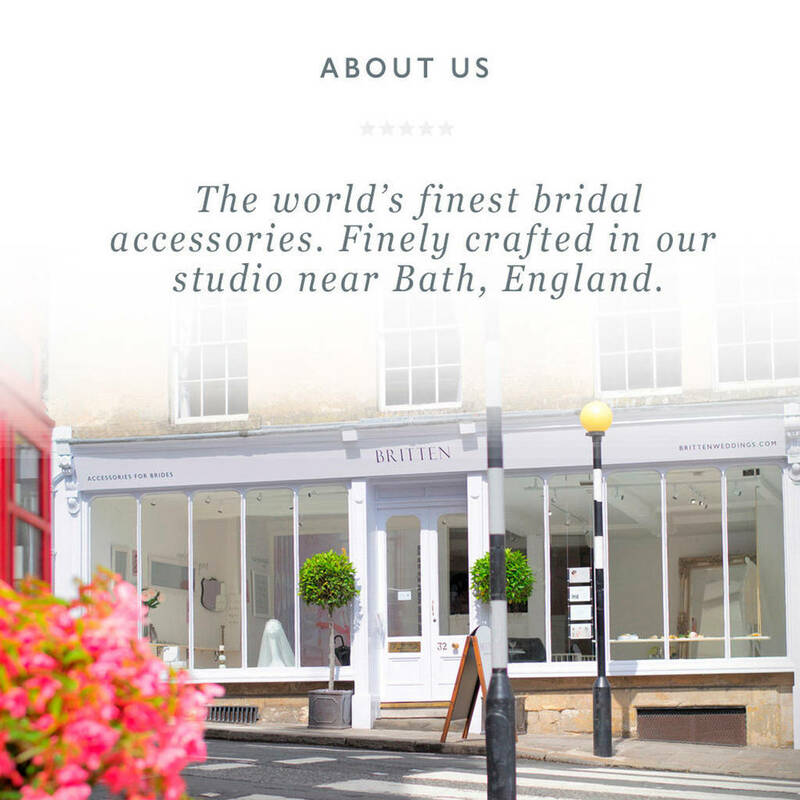 Avoiding the unnecessary costs involved in traditional retail allows Britten to use English craftsmanship, the highest quality materials, specially commissioned packaging, deliver to your door for free and treat every bride like their only bride.